If you are looking to explore the many well-known eateries and restaurants in the city of Amritsar, then Hotel Royal Vij is ideal for you. Al Fresco Ramada, Gurdas Ram Jalebi Wala, Brijwasi Chat Bhandar and Giani Tea Stall are some of the eateries you can check out. With modern exteriors and bright and spacious interiors, this property is perfect for both leisure and business travellers. 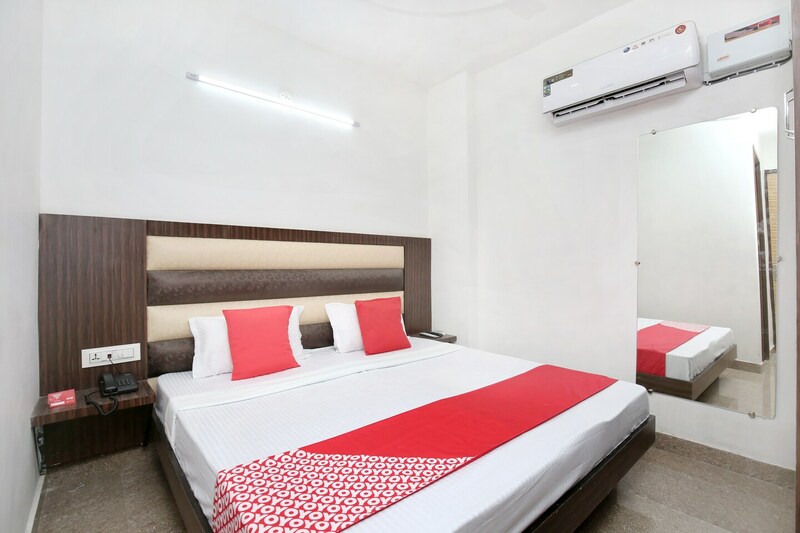 The rooms are simple yet trendy and furnished with AC, TV and free Wi-Fi. The bathrooms are clean and fashionably tiled. Hotel Royal Vij also has a CCTV system for maximum security and power backup in place to ensure that your stay is comfortable. Guests can make the most of laundry services and relax in the Beautifully decked lounge.